Register for the Golden Bridge Teacher Training Program Before Sept 30 and SAVE! Prices go up after September 30! The cost of the Golden Bridge Level 1 program is $4,400 paid before September 30th. After September 30th, the price is $5,000. 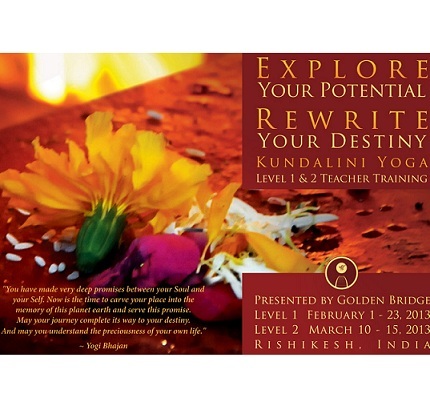 Register now for the Golden Bridge Level 1 Yoga Teacher Training program – Explore your Potential, Rewrite your Destiny! 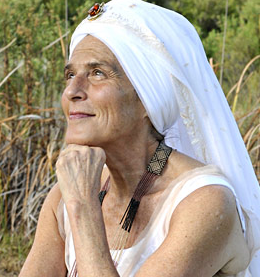 From February 1-23 immerse yourself in the study and practice of Kundalini yoga at Golden Bridge Yoga’s Teacher Training Program. Held in Rishikesh, India, you will learn yogic philosophy, yogic anatomy, the psychology of a Kundalini yoga teacher, and much more – all while being surrounded by the supportive environment of the Parmarth Niketan Ashram and fellow yogis from around the world. 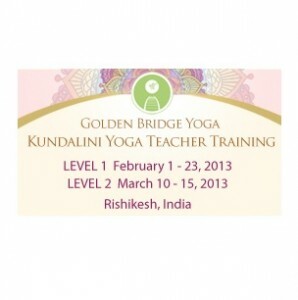 Kundalini Yoga Teacher Training in India with Golden Bridge Yoga! Could you let me know if this course if for Feb 2014 in India . I see it says 2013. I wanted to book before september 30th. Sat nam Leigh Anne, This course was in Feb 2013. Check Spirit Voyage’s Ticket Guru (Events) on our website for more information about upcoming trainings. Blessings!